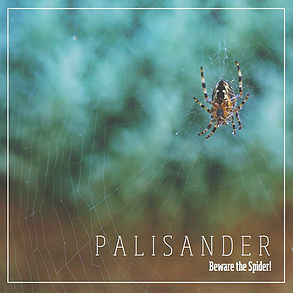 Planet Hugill: Palisander: Beware the Spider! Another cure for being bitten, in Apulia, was to take the victim to a chapel which was the site of a pool blessed by St Paul, so here we have Ego pro te rogavi Petre by Tiburtio Massanio. Science of the day is represented by the writer Athanasius Kircher, whose Antidotum Tarantulae is performed alongside spoken words by Miriam Nerval. Each of the works on the disc has a similar place in the arcane world of treating tarantism. The result is an intriguing programme which not only shows of the talents of the performers, but intrigues too, with Miriam Nerval's booklet article providing a nice commentary to guide you through the programme. Nerval has made the attractive suites of tarantellas, and also done the rather more with Vivaldi's concerto where Vivaldi's original writing is linked with extended techniques and unusual sound-words to create something rather striking and startling. The variety of pieces on the disc, and the different styles contained, help to vary the textures and timbres, and the players certainly show some strong technique too. They play a consort of instruments by Thomas Prescott, designed after 16th century originals in the Vienna Kunsthistorisches Museum, plus a contrabass by Kung, and they are joined on some tracks by Toby Carr (baroque guitar and theorbo), and Ruairi Glasheen (Percussion). The group was on the St John's Smith Square Young Artists Scheme in 2016-17, and the Brighton Early Music Festival's 'Early Music Live!' scheme 2015-16. This charming disc not only shows off the ensemble's skills admirably, but provides a programme which intrigues. The disc is available from Palisander's website.